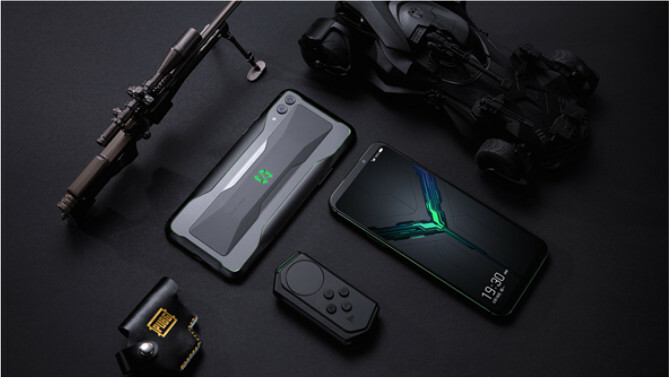 Xiaomi’s Black Shark announced the Black Shark 2 Gaming Phone yesterday. As expected the company has announced that it will be launching in India soon. It also detailed some additional features and accessories for the phone. Ludicrous Mode: When the Ludicrous mode is on, Black Shark 2 will release all the CPU power for supporting gaming performance without dropping frames and the company says that this is the only device in the world which can achieve this. Shark Space – Immersive Gaming Mode clears up memory in the background for ultimate performance on a single key press. Gamers need to pull down the Game Dock to customise their settings without leaving the game. When turning on the Performance Dashboard, they can monitor their gaming frame-rate and system temperatures in real time. Finally, gamers can also set up their performance in Gamer Studio. 4000mAh battery with 27w fast charge. 5 minutes charging offers 30 minutes of playing and 10 minutes charging for a 1-hour play. It also allows gamers to play and charge at the same time, playing PUBG for 30 minutes, charging for 15%. Master Touch: Press firmly on both left and right customised touch zones to trigger multiple on-screen actions with just two thumbs. Allows you to save at least 80ms for shooting during an FPS game. TrueView Multi-adaptive Display for optimal viewing across lighting conditions and ambient colour tone, including Day Light View (DLV), Night View and Reading Mode for eye comfort. 3 customised gaming microphones: Two of them are noise cancelling microphones at the front that can help to ensure crystal clear in-game voice chat. Can recognize different environments/ weapons/movements/hits, and fit different waves to each of these, to attain a 4D gaming experience. Host Mode: Can transform into a gaming host by merely connecting an HDMI Cable to any big screen, with the world’s lowest delay from any smartphone gameplay to any big screen. With GamePad 3.0 which can transform into a console pad with the Black Shark stand. Shark Time: Share your best gaming moments via social media with your friends. Black Shark 2 could recognise your best moment in-game automatically, and gamers could check after every game. Light It Up: Black Shark’s Logo and two (2) sides lights could offer a unique experience when you play games, listen to music and during daily life usage. RGB colours for different gaming effects, intelligent music recognition to fit different music, and customisation on light effect according to various friends. The phone incorporates Pixelworks Iris visual processor to create the most immersive mobile gaming experience. In addition to Super Cinema Mode, based on Pixelworks TrueClarity MEMC (motion estimation, motion compensation) technology, the Black Shark 2 introduces Pixelworks’ multi-adaptive display modes. These dynamic modes preserve Black Shark’s distinctively vivid and smooth visuals across all mobile conditions by optimizing the appearance of the display for the brightness and tone of the ambient lighting environment. TrueClarity™ MEMC (motion estimation, motion compensation) processing to eliminate unintended judder and blur. Xiaomi also introduced a Cooling Case that promises to bring down 10 degrees in as little as 10 seconds. Left and right gamepads that were introduced with the Black Shark Helo will work with this phone. 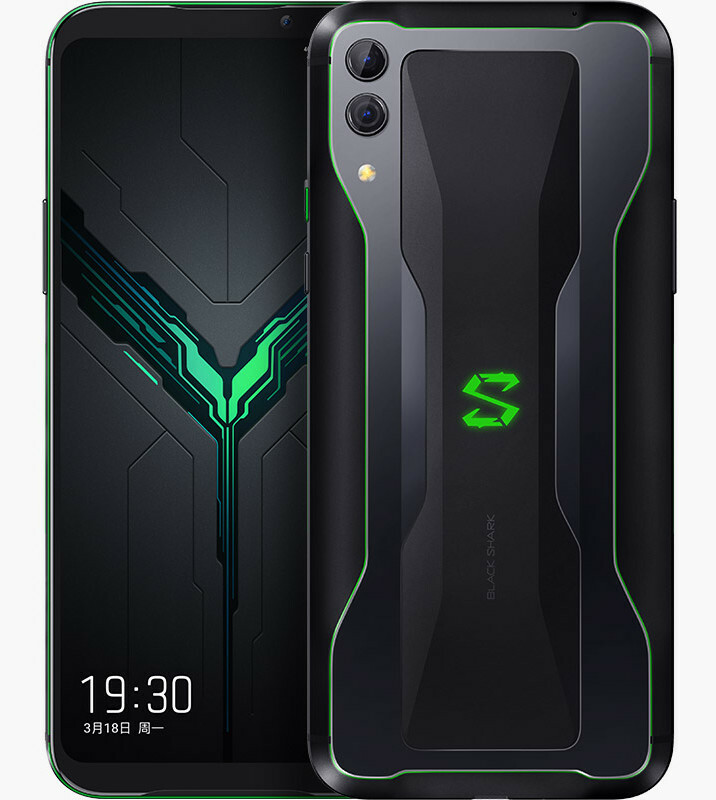 The Black Shark 2 is priced in China starting at 3199 yuan (US$ 476 / Rs. 32,710 approx.) for the 6GB RAM with 128GB storage version and goes up to 4199 yuan (US$ 625 / Rs. 42,940 approx.) for the top-end 12GB RAM with 256GB storage version. It is expected to launch in India in the coming weeks. We will let you know when we get details about the exact India launch date.